Daelim first resisted the arbitration proceedings on the ground that the arbitral tribunal had no jurisdiction and there was no concluded contract. Singapore tribunal asks Korean company to compensate for abandoning project. 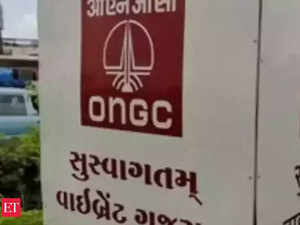 NEW DELHI: ONGC Petro Additions Ltd. (OPAL), a petrochemical company owned by Oil & Natural Gas Corp., won a major international arbitration case against South Korea’s Daelim Industrial Company Ltd. for abandoning a high-stakes project. An international arbitral tribunal in Singapore, ruling in favour of OPAL, said Daelim had breached its contractual obligations by withdrawing from the project and must compensate OPAL. The compensation amount will be determined at the next hearing in the case – tentatively set for April 4 & 5, said lawyer R Sasiprabhu of RS Prabhu & Co, who appeared for OPAL. Drew & Napier of Singapore represented Daelim. OPAL, based in Dahej in Gujarat, will claim compensation for loss of net present value with interest thereon. The compensation in the agreement was capped at 20% of the contract cost of Rs 1,500 crore. OPAL awarded the contract to Daelim on January 6, 2011, for constructing a high-density polyethylene plant as part of the Dahej petrochemical complex being set up at a cost of Rs 20,000 crore ($2.8 billion). Daelim unconditionally accepted the contract worth Rs 1,200 crore but abandoned it, leading to the project cost escalating to Rs 35,000 crore. However, after attending the kick-off meeting and providing the performance bank guarantee, Daelim refused to sign the final contract on the ground that it had unresolved issues with Chevron, which was to provide the technology licence needed to manufacture products and sell them. OPAL cancelled the contract with Daelim on April 28, 2011, and awarded it to the next lowest bidder, Samsung. It also initiated arbitration proceedings in Singapore demanding compensation for loss or damage sustained due to non-fulfilment of the contract. Daelim first resisted the arbitration proceedings on the ground that the arbitral tribunal had no jurisdiction and there was no concluded contract. Later, it claimed that although there was a binding contract, it had been rendered void. The South Korean company argued that it had been discharged from performance of such contract because it was awarded subject to “conditions subsequent,” which could not be fulfilled as a result of Chevron backing out of the venture.